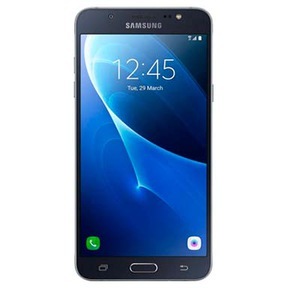 The Samsung Galaxy J7 (2016) introduced in March, 2016 is a part of Samsung’s J series lineup of affordable lower mid-range phones, which provide acceptable performance at user-friendly prices. The J series has a new launch every year, with improved specifications and design changes from previous years. The J7 (2016) features a 5.5 inch Super AMOLED HD screen, powered by a removable 3,300 mAh battery. Inside, users have a choice between a Qualcomm Snapdragon 617 or Exynos 7870 Octa chipset, along with 2 GB of RAM and 16 GB of internal storage. The J7 (2016) also supports a Dual-SIM setup with a dedicated micro-SD slot, supporting upto 256 GB of extra storage. The J7 (2016) also sports a stylish metallic frame, however with a plastic back. However, the phone was swamped in a tough market, filled with much better performing smartphones in the same relative price range from competitors. With the nature of the release schedule of the J7 series from Samsung, subsequent phones in the J7 series in later years had significant improvements in their performance, specifications, and usability. This might encourage you to sell your old Samsung Galaxy J7 (2016), and what better place for that than Cashify! Why Sell Your Old Samsung Galaxy J7 (2016) On Cashify? We ensure that you get the best deal on the resale of your old Samsung Galaxy J7 (2016), giving you the most out of your old phone’s true worth. Cashify does this by partnering with the biggest mobile brands around, from Samsung to Xiaomi. To begin the process of selling your phone on Cashify, head over to the website and find your phone’s brand and model via our phone picker or search bar. 1. Once you’ve found your phone’s exact make and model, next we ask a few simple questions about the current quality of your Samsung Galaxy J7 (2016), screen or body defects, if any, and warranty related information. 2. Our transparent pricing system ensures you are provided with the best price for your old device. Cashify makes it safe and easy to sell old phone without even having to step out of your home. 3. Our agent will pick up the old phone from you right at your doorstep. You can choose to get paid instantly via cash, or via cheques or transfer to e-wallets. You won’t have to go through the hassle usually associated with re-selling old devices, like meeting with multiple potential buyers, worrying about payment times, delays, or other issues. Cashify’s streamlined system makes it so that you can’t wait to sell off all your old devices! The best place to sell mobile phone and other gadgets from the comfort of your home, with the most value for your money, Cashify, is here!